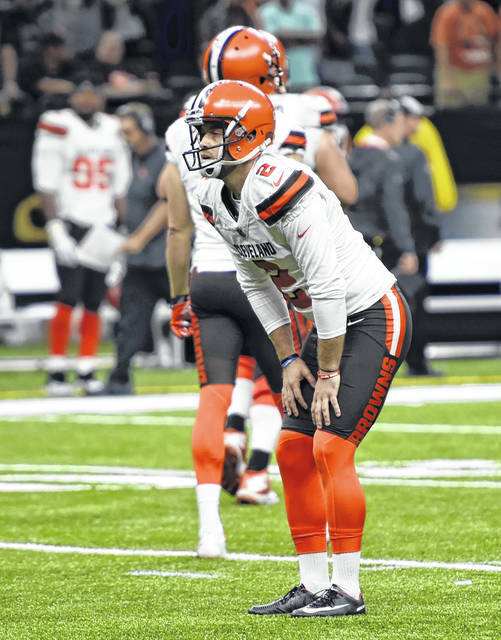 NEW ORLEANS (AP) — Wil Lutz kicked a 44-yard field goal for New Orleans with 21 seconds left, Cleveland kicker Zane Gonzalez pushed the second of his two missed field goals wide right in the final seconds, and the Saints held on for a 21-18 victory that extended the Browns’ winless streak to 19 games. 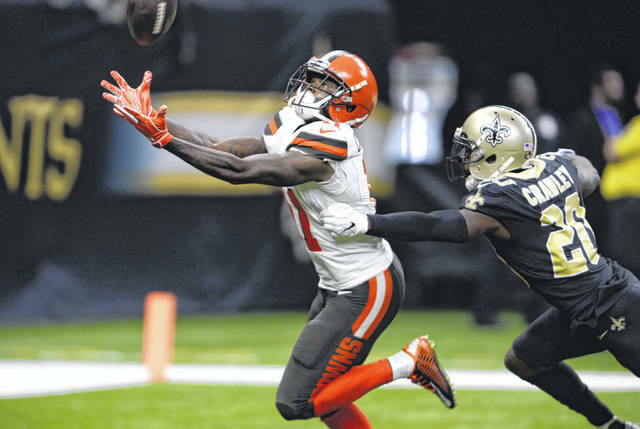 Receiver Michael Thomas had two fourth-quarter touchdowns for the Saints (1-1), who scored 40 points in a Week 1 loss to Tampa Bay, but didn’t find the end zone against Cleveland until 8:41 remained in the game. Thomas’ 2-yard catch cut Cleveland’s lead to 12-10. Marcus Williams’ interception of Tyrod Taylor with just less than five minutes remaining set up Thomas’ leaping 5-yard touchdown catch with 2:40 to go, and Alvin Kamara’s run for a 2-point conversion put the Saints up 18-12. That conversion made all the difference after Taylor found Antonio Callaway with a 47-yard, all-or-nothing heave on fourth-and-5 with 1:16 to go. Gonzalez missed a point-after kick for the second time, and Drew Brees’ 42-yard completion to Ted Ginn Jr. set up Lutz’ go-ahead kick. Kamara was a bright spot in a largely frustrating day for New Orleans’ offense, gaining 99 yards from scrimmage, including 53 on six catches. Browns defensive tackle Larry Ogunjobi sacked Brees twice and would have had a third drive-stalling sack early in the fourth quarter if Derrick Kindred hadn’t been called for illegal contact. The drive-extending penalty led to New Orleans’ first TD in what became an 18-point final quarter for the Saints. Saints: Tommylee Lewis received treatment for what the club described as a knee injury after a big hit during a punt return in the second quarter. He was listed as questionable to return to the game. … Defensive tackle Sheldon Rankins left in the fourth quarter after taking a hit to the head.